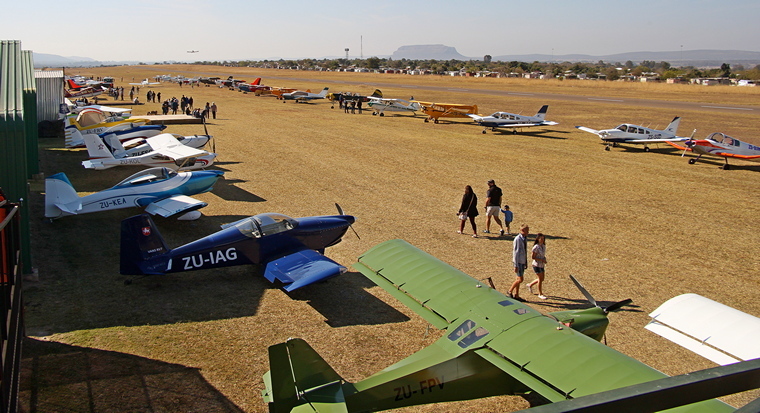 Taildraggers at Nylstroom is without a doubt the most popular and unique fly in on the events calendar and aviators came from far and wide in aircraft old and new to experience typical Bushveld hospitality, share stories and fly or just chill. 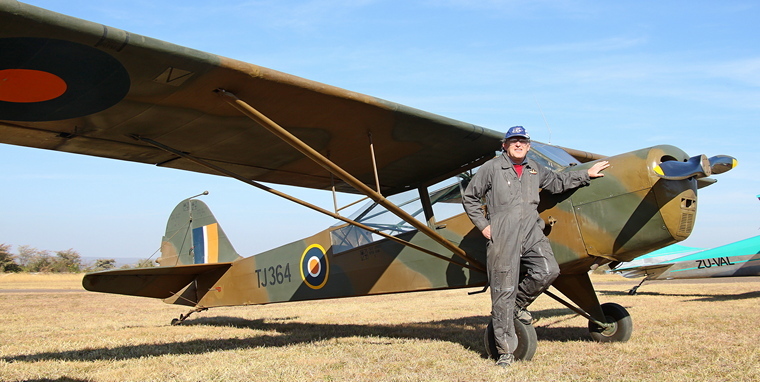 Marc Paxton and son Steven left Petit in Benoni at 0705 in their Pietenpol on Saturday and flew in formation with John Illsley in his Auster. They had an uneventful flight of 1 hour and 30 minutes in lovely weather to Nylstroom. The Piet has been languishing in a hanger at Petit until Marc recently bought it. 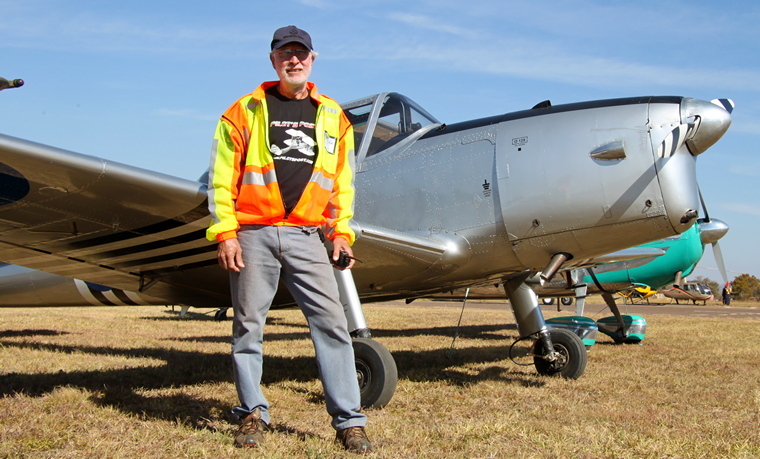 Frank van Heerden flew his Vans RV-14A from Kittyhawk. Frank, a RV nut, started off with a RV-9 but fell in in love with a 7 at Oskhosh and added that to this collection. Eventually he needed some more space and bought a share in a RV-10. During another visit to Oshkosh he flew the RV-14 and was so impressed with its visibility and performance and made the decision to acquire one, sold his RV-9 to a South African at Oshkosh and also got a good price for his share in the RV-10. “When you are RV mad, you are RV mad. RV's are fantastic aeroplanes. Their characteristics are very much the same and the fourteen is the easiest kit in the range to build. The 14 has the same wing and undercarriage as the 10 and is a really great aeroplane.” Frank said. Frank is still running the engine in and the 14 currently has 52 hours on the clock. She cruises at 165 knots and burns about 40 litres per hour at full power although he expects 35 litres per hour going forward. Some early birds were there when we arrived on Friday. By early Saturday morning the tower manned by Riaan Olivier and his team from ATNS were kept busy by a constant flow of arriving aircraft. Although billed as a taildragger fly in all types, including helicopters are welcome and some seldom seen types visited. By mid-morning Saturday the field was quite packed with more arriving. Strong winds and low clouds over some areas made it impossible for a large number to fly to Nylstroom. Whilst some came for the day other stayed, some camping and some opted to bed down for the night in one of the numerous bed and breakfast establishments. 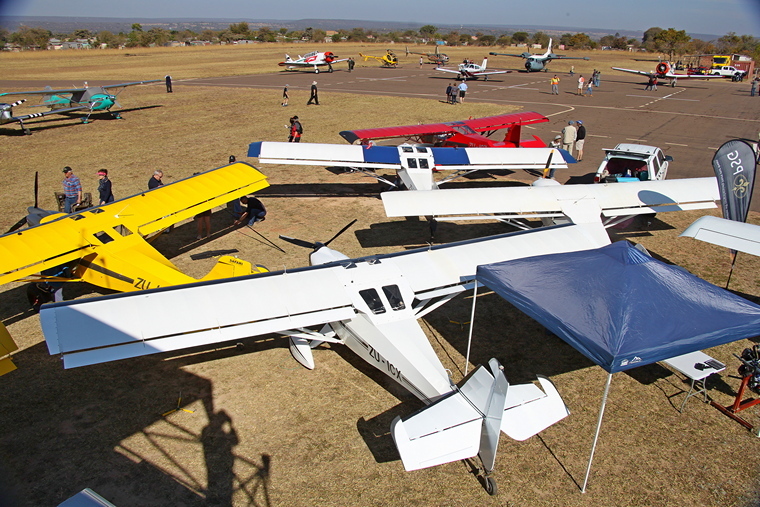 In our modern world few new taildraggers are manufactured and nose wheel aircraft dominated at Taildraggers at Nylstroom. 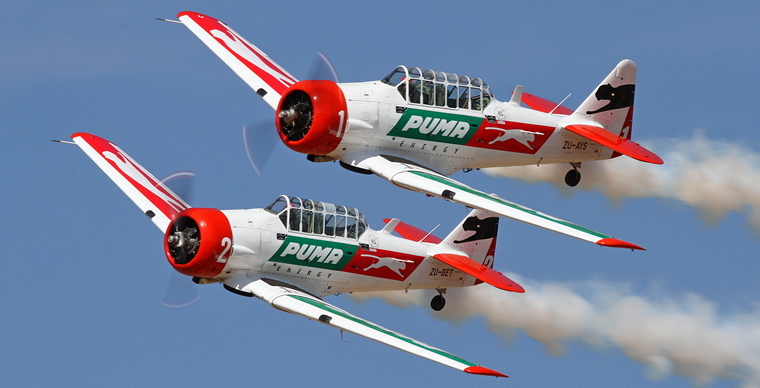 The Puma Energy Flying Lions did a three ship display during the day. Nigel Musgrave was acknowledged as an Outstanding Safety Officer at numerous aviation events. Captain Karl Jensen, here with Paul Lastrucci, National President of the EAA of SA (left), was acknowledged for his role for the Most Active Promotion of Aviation. Hans de Beer received for the first in and touch-down. Sean du Toit and Richard (jnr) & Phillip Nicholson for superb marshalling. Stefan Coetzee for most active flying and participation. Willie vd Walt who flew all the way from Graaff-Reinet for the most effort. Francois Prinsloo received a special mention for most effort to attend the event. Greg Clegg for the oldest homebuilt. Jerermy Woods for the oldest taildragger. Greg Clegg & Ivan van der Schaar for happy flying. 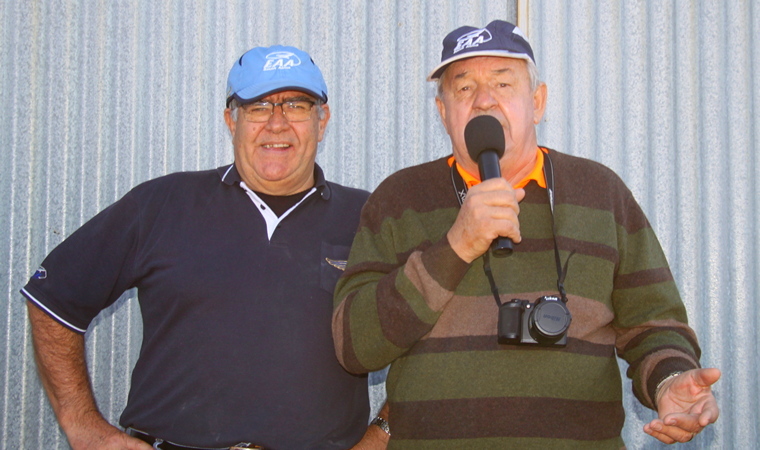 Richard and Mariette Nicholson and their crew from the Nylstroom Flying Club again showed that they know what to offer year after year to draw hordes of taildraggers and those that still need training wheels for a weekend of flying, fun and camaraderie.